From there, we will move on to MongoDB, where you'll learn how to interact with Mongo from a Node application. You will also learn how to create, retrieve, update, and delete data from a Mongo store. After you have a solid grasp on Node and Mongo, the book will move on to the Express web server. We'll cover the basics of Express applications via topics like routes and middleware. Building on previous chapters, we will cover the integration of Node, Mongo, and Express. 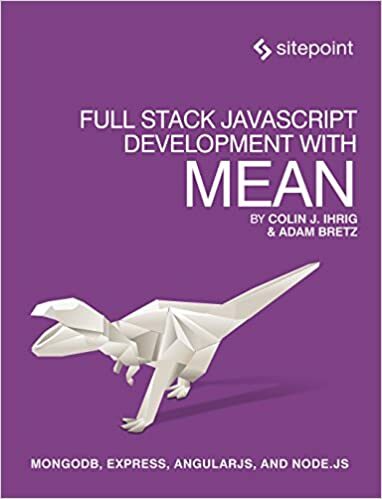 Our coverage of the MEAN stack will wrap up with several chapters on AngularJS. These chapters will cover Angular fundamentals like data binding, directives, controllers, routing, and services. In an effort to explore competing technologies, a slight introduction to Ember.js will also be provided.